Offering you a complete choice of services which include upvc three track sliding windows, upvc window with mesh, upvc sliding windows, upvc openable door, upvc casement window and upvc sliding door. The openable door is made up of two(or more) sashes . 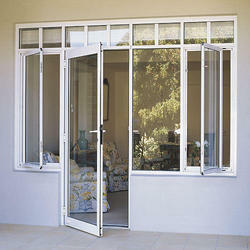 these variety of features like safety glass ,desighner glass ,heat or sound proof ,high quality door lock with lock and knob system .these are customize and extremely versatile.these are available in variety of colors.multi chamber system increase heat and sound solution.these are durable and have attractive looks rather than aluminium or pvc . these doors also have option of matal or pvc or WPC sheet for bathroom purpose. 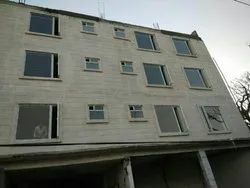 The openable windows is made up of two(or more) sashes . these variety of features like safety glass ,desighner glass ,heat or sound proof ,high quality door lock with lock or knob system .these are customize and extremely versatile.these are available in variety of colors.multi chamber system increase heat and sound solution.these are durable and have attractive looks rather than aluminium or pvc . these doors also have option of matal or pvc or WPC sheet for bathroom purpose. 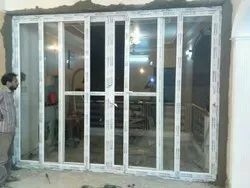 The three track windows , doors ,casement door and windows made up of one (or more) sashes .these have also option of mesh leaf for mosquito protection . these have variety of features like safety glass ,desighner glass ,heat or sound proof ,high quality lock with lock/ knob system .these are customize and extremely versatile.these are available in variety of colors.multi chamber system increase heat and sound solution.these are durable and have attractive looks rather than aluminium or pvc . these also have option of matal or pvc or WPC sheet for bathroom purpose.